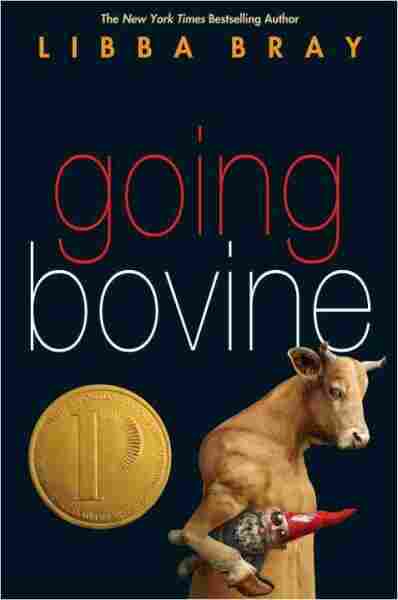 Librarian Nancy Pearl's 2009 Under-The-Radar Books The end of another year means another giant stack of books you missed during the past 12 months. Nancy Pearl, our favorite librarian, stops by to share recommendations that should keep old, young and 'tween readers content. 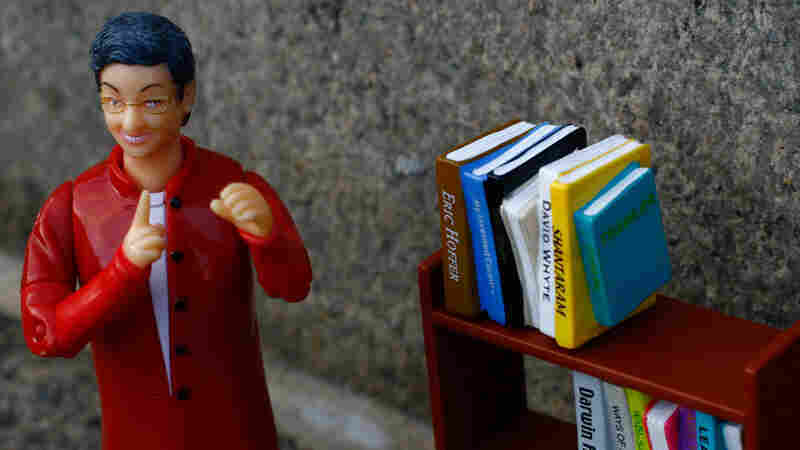 The alter-ego of librarian and book reviewer Nancy Pearl. Yes, she really has her own action figure! 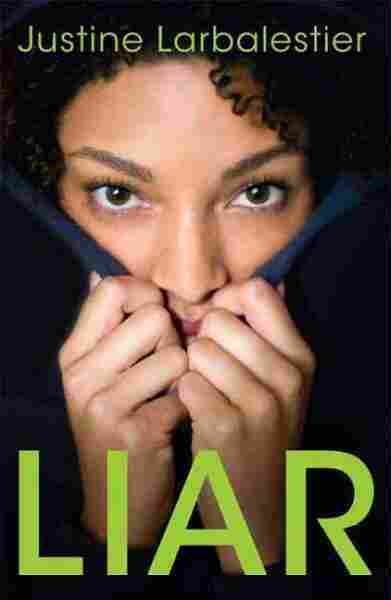 When it comes time to take stock of the year in books, it's inevitable that a few titles will escape notice in the rush to hand out accolades. Here are a few books that flew "under the radar" this year that I think will make perfect holiday gifts for everyone on your list -- babies, kids, teens, and adults. Oh, and don't forget yourself, too -- read them all before you wrap them and give them away! 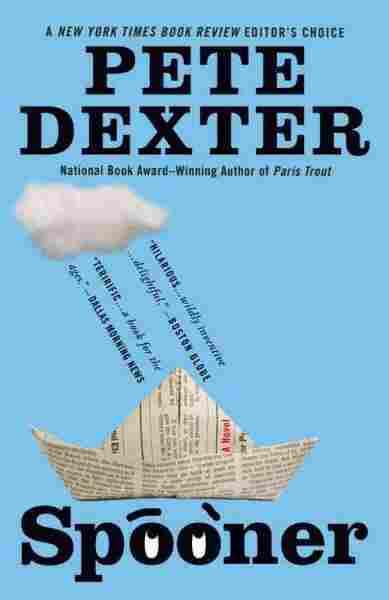 Pete Dexter won the National Book Award for his novel Paris Trout. He's a brilliant writer who began what was once my favorite novel of his, The Paperboy, with a terrific first line, one of my all-time favorites, ever: "My brother Ward was once a famous man." 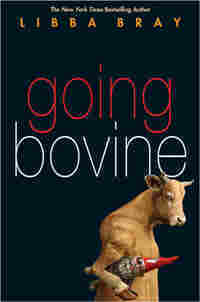 With his new novel, Spooner, he's written my new favorite. Spooner is an autobiographical novel that will share pride of place on my bookshelves with books like John Irving's The World According to Garp, Steve Tesich's Karoo, Merle Miller's A Gay and Melancholy Sound, and Steve Toltz's A Fraction of the Whole. And Calmer, who admired Robert Frost above all other poets, and had fixed broken things all his life, making do with what was on hand, who had once landed an airplane using the wind against his open door to steer after the ailerons cable broke, who had delivered a dozen breeched babies from the wombs of animals on his father's farm, and who had undertaken to mend the life of a woman for whom misery itself was a comfort -- Calmer looked at the hulking figure of Miss Sandway, and punted. Some things could be fixed, some things couldn't. 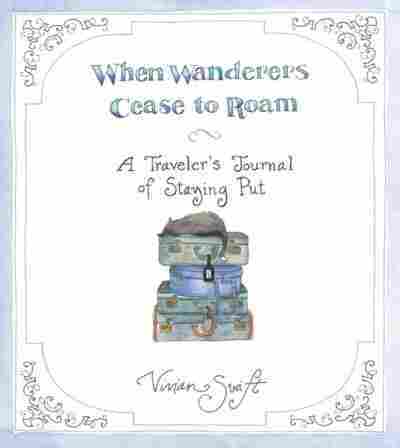 I probably cannot adequately convey how much I absolutely loved reading Vivian Swift's When Wanderers Cease to Roam; A Traveler's Journal of Staying Put. For over two decades, Swift traveled the world, for work and fun, and then she settled down with five cats in a house in a small village on Long Island Sound. 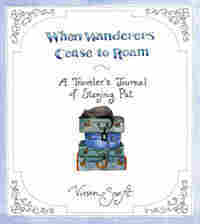 Wanderers is her diary (highly illustrated with her watercolor drawings) of those years, with diversions into her past. It's charming, delightful and captivating. I loved the pictures of the single mittens that she's found over the years, but I could have equally chosen any of hundreds of other examples of what made this book so much fun to read. It was difficult to read David Finkel's book The Good Soldiers for more than a chapter at a time, because I found myself weeping so often. But of all the books I -- and we -- have read about the wars in Iraq and Afghanistan -- all the excellent and not-so-great "we were there" accounts and reports from embedded journalists -- Finkel's account stands head and shoulders above the rest. We are with the 2-16, an Army Rangers battalion, that was sent to Baghdad at the beginning of the "surge" in 2007. 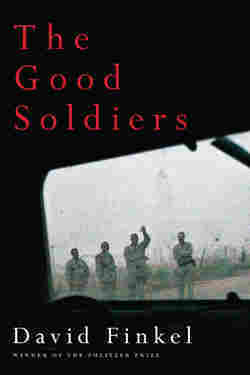 Finkel has a terrific journalistic eye (he won the Pulitzer Prize as a reporter for The Washington Post) and he shares with us the soldiers' experiences as they attempt to bring a kind of peace to Baghdad. The trauma of being away from friends and family, the daily boredom of patrolling a city that is all too frequently punctuated by the terror that comes with an attack or a suicide bomb, the lack of trust of the civilians -- all this comes through in writing that is both vivid and visceral. 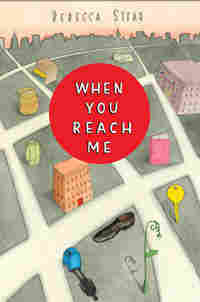 I could wax on about wonderful books for teens, (E. Lockhart's The Disreputable History of Frankie Landau-Banks is another great read), but let's move on to an equally outstanding novel for middle-grade readers: Rebecca Stead's When You Reach Me. Two different librarians -- one school librarian and one who works in the public library and is herself the author of middle-grade children's books -- have both predicted that Stead's book should win the Newbery Award, which is given annually by the Association for Library Service to Children "to the author of the most distinguished contribution to American literature for children." In any event, it should end up high on every critic's best-of-the-year list. Really, it's that good. It's one of those all too few and far between novels that you want to reread as soon as you finish them, just to see how the author so successfully wrote a fantasy that feels completely real. 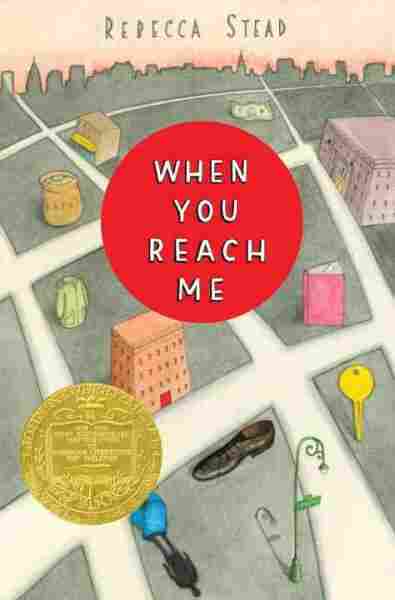 As young readers pore over the illustrations, they'll find themselves making up stories about everyone and everything they see before them. 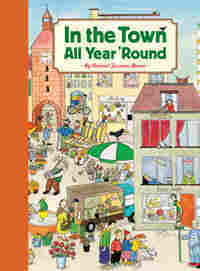 And because there's so much happening on each page (a kindergarten is being built, a woman runs to catch her bus, a group of children visits a natural history museum, a nun loses hold of a penguin balloon, the wind turns an umbrella inside out, a little girl practices the piano), this is an endlessly fascinating book that changes in content every time you share it with a child. Children notice something different and "write" a new tale each time they pick the book up. 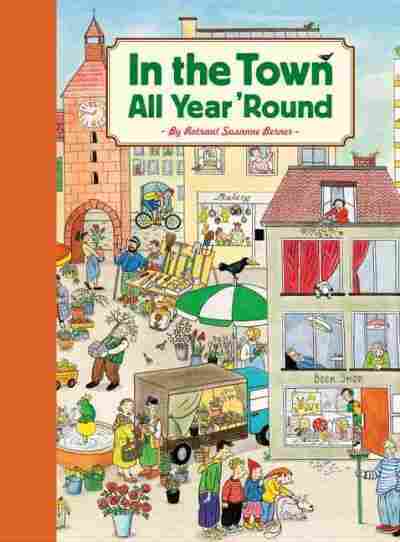 The colorful, busy drawings may remind some readers of the Where's Waldo series by Martin Handford (another favorite of mine to share with young readers) or the always-popular Richard Scarry titles. I count myself as someone crazy for the books of Margaret Mahy, especially her picture books. I love her flights of fancy and her scrumptious way with words. 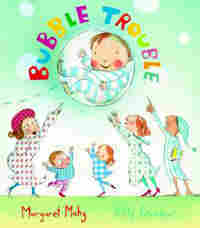 Her new book, Bubble Trouble, is great fun to read. Now, for several reasons it's somewhat difficult for me to review a picture book. First, so much depends on the marriage of the illustrations to the words, and in the case of Bubble Trouble, it's hard to imagine the text without the winsome watercolor and cut paper pictures by Polly Dunbar. They carry along the silliness of the story and make you smile as you look at them. Second, it always seems to me that it would be so much easier if I could just include the complete text in the review, rather than pulling out bits and pieces to quote. Third, the plots of picture books are frequently the least important part of the book -- instead it's the use of language, rhythm, and (often) rhyme that makes a book a winner. But reviewing Bubble Trouble is irresistible. I'm working on a new book -- Book Lust to Go -- which will include armchair travel, explorers, history, all that sort of thing. It should be out sometime in the fall of 2010. 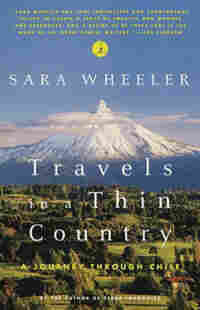 One of my great discoveries in all the reading I've been doing is the author Sara Wheeler. I both admire and worry about her fearless attitude toward travel. Her Travels in a Thin Country: A Journey Through Chile is definitely not to be missed by any armchair traveler, someone on his or her way to Chile or with an interest in the country. Chile is approximately 2,600 miles long, and is never more than 250 miles wide (its average width is 110 miles); Wheeler makes her way from the arid north to the islanded south. 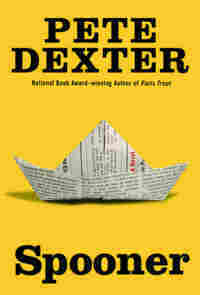 Here's a brief example of her writing: "I woke up on my thirty-first birthday in a seedy hotel very close to Argentina, and John the Alaskan tried to wish me a Happy Birthday in Spanish, but by the time he had worked it out we had both lost interest." 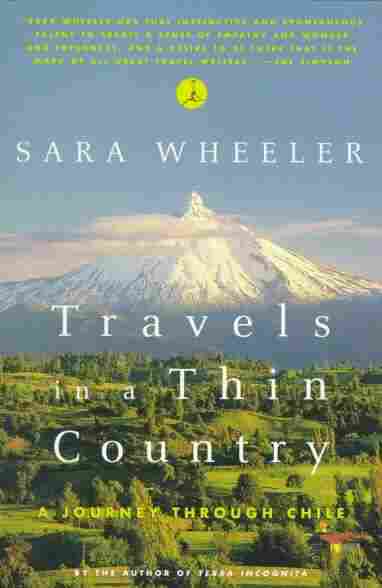 Before reading Travels in a Thin Country, I never really considered visiting Chile; now it's on my list of must-see places. Note to political junkies: Wheeler's book is one of the few books about the country that aren't centered on its terrible history under the dictator Augusto Pinochet. Now for the worry: I have one very adventurous (seemingly fearless) daughter, who, like Wheeler, has an amazing gift for friendship and instant closeness with nearly everyone she meets. At one time in her life she, like Wheeler, had a tendency to drop whatever plans she had in order to go rock climbing with a group of strangers, have her passport confiscated on a train between Florence and Budapest, fall out of touch from her parents for weeks on end, and generally make me very nervous. As a result, all the time I was reading Wheeler's wonderful book, I was feeling dreadfully sorry for her mother.